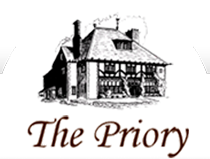 If your looking for a care home in Chippenham then the Priory could be for you. The Priory, set in its own gardens, is located in a quiet residential area of Chippenham, only approximately a half-mile from the town centre. This gives easy access to shops, the Post Office, newsagents and parks. The home is located within easy reach of the M4 and A4 and is serviced by local buses and taxis making it easily accessible to friends and family. Chippenham town centre is approximately a half mile from the home and is well serviced by mainline trains from both London & Bristol. The historic market town of Chippenham is set on a prominent crossing of the River Avon. It nestles in a valley surrounded by the Cotswolds, the Marlborough Downs and Salisbury Plain. The town is a blend of both old and new and is central to many of the area’s great houses and historic villages. More recently, the M4 has meant easy access from both London and Bristol.